More color! 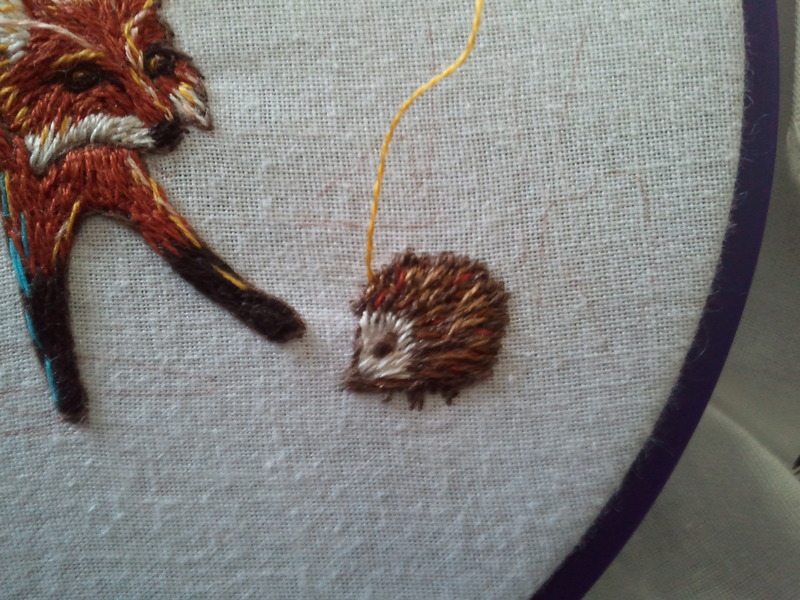 I kind of remembered to take a picture of the hedgehog before I started adding color. This is almost the base state–I added a bit of fox red and some yellow highlights. 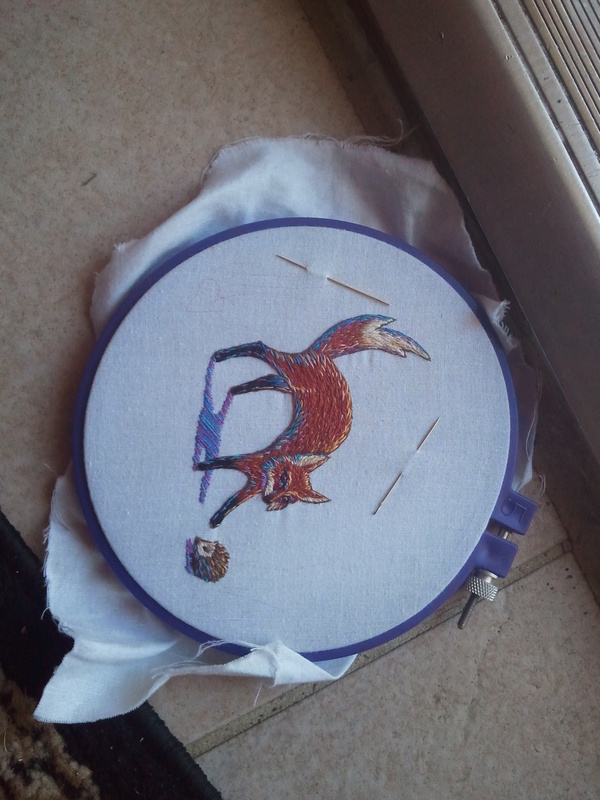 Then I got started with more of the purple and blues. 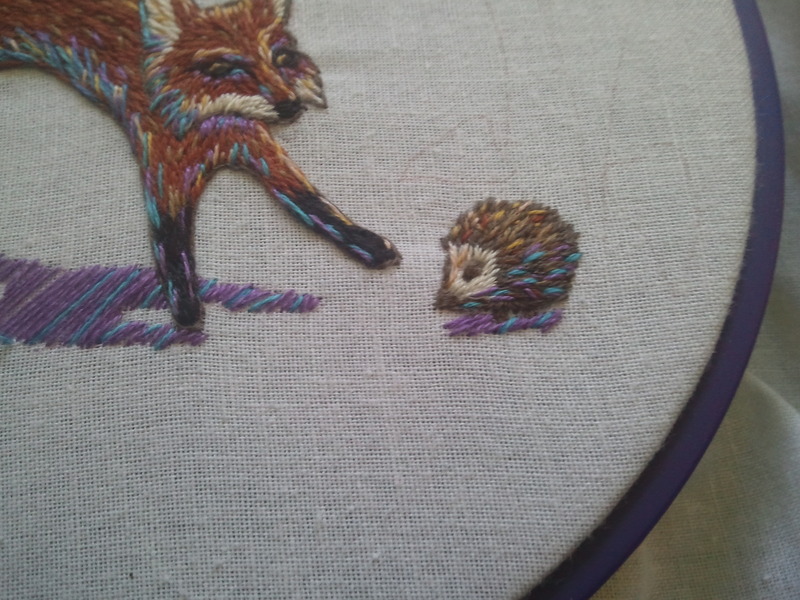 I’ve been trying to keep the yellow and peach along the top and right of the fox and the hedgehog, as that’s the direction of my imaginary light source, and the blues and purples more in the shadows. However, I think both colors need to be pulled more toward the middle–in this respect, I think the hedgie is more successful than the fox. I get so focused on the details, it’s good to pull back and look at it from afar sometimes. I think it holds together better with a little distance. 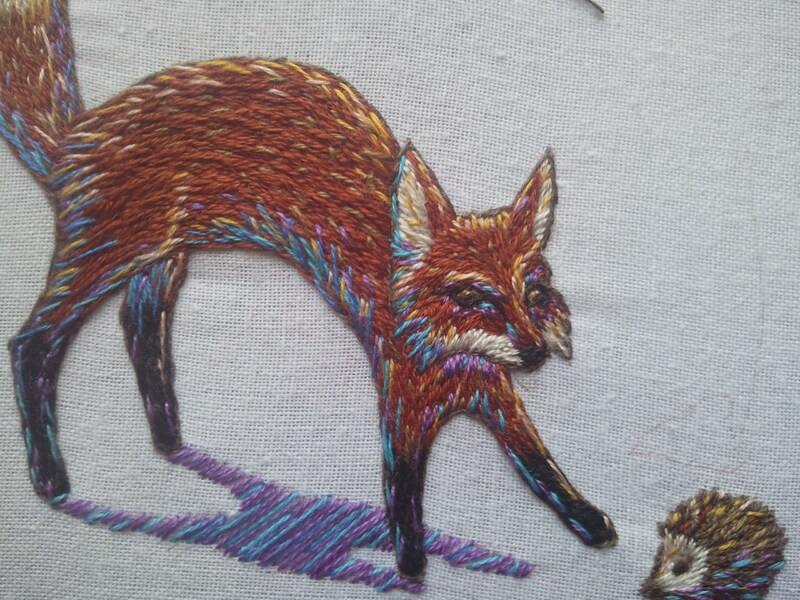 This entry was posted in Uncategorized and tagged color, embroidery, experimentation, fox, surface embroidery by Rene. Bookmark the permalink. I love the foxes face! And I love how the shadows work. It is really great. I have a soft spot for hedgehogs, and that one is a beauty. I love the fox’s face, the expression is wonderfully lively and playful, and just a bit sly. Thank you! I’ve never met a hedgehog in person, though I’ve always wanted to. Maybe someday.